Cub broadcast Bob Brenly leaves the booth. Another change has come for the Cubs, but isn’t on the field or in the front office — it’s in the broadcast booth. With a simple press release on Wednesday night the Cubs baseball broadcasting world went into a tizzy. 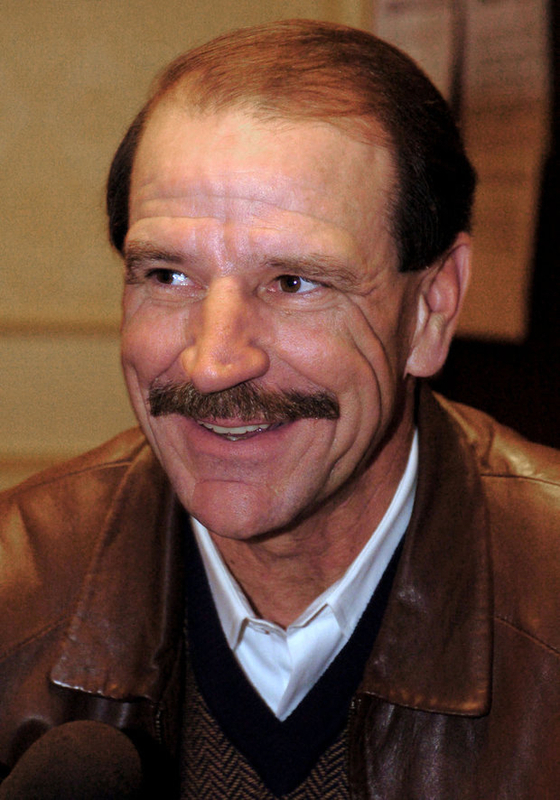 WGN-TV revealed that analyst Bob Brenly was leaving the television broadcast team. His three-year contract was up and Brenly made the decision to look for other opportunities. He found one on Thursday, returning to the Arizona Diamondbacks; their broadcast booth had openings, including the one formerly held by Mark Grace. The former Cub has some legal issues and his future in broadcasting (Cubs and anywhere else) is up in the air right now. Many of us in the business watched with fans as Bob and play-by-play broadcaster Len Kasper grew into a likeable, interesting and informative duo for Cubs baseball. You can tell they enjoyed working together, but even that wasn&apos;t enough to retain Brenly, apparently. Len and Bob solid work in tandem, which is pretty hard to do when a club loses 101 games, like the Cubs did this past season. They were prepared, descriptive, informative and interesting; they were not homers — they were fair. Brenly had no trouble pointing out the blunders on the base paths or a botched play in the field. He would have praise when things went well in a game or if a player did something good (even though there wasn’t a lot of that this year). Bob’s credentials as a former player, especially a catcher, helped him speak from experience. His background as a World Series champion manager with Arizona afforded him another perspective that enriched his analysis of the game. I know I am singing Brenly&apos;s praises here, and that there are people who may disagree with my assessment — you never can please everyone. But the networks obviously see Brenly in the same light: He is part of the post-season broadcast crew. Finding the right tempo and the right broadcasting combination in any sport is hard — with baseball it is probably the toughest. The job is a 162-game grind: the travel, the length of the games, rain delays, bad baseball . . . it all takes a toll on anyone in that job. Despite all the difficulties though it&apos;s still a very desired job in the broadcast world, especially in the Cubs booth; the team has a huge audience and the job still has national appeal. Lots are names are being floated for Brenly&apos;s replacement: Rick Sutcliffe, Steve Stone (who re-upped with the Sox), Dan Plesac and Kerry Wood. There are numerous others that would leap for this job. Yes — even with a team with 100+ losses. Why? Just like Wrigley Field there is a history that was created with Jack Brickhouse and Harry Carey that made the Cubs a very popular franchise. Many broadcasters would love to be in the booth when the unattainable may happen — a World Series Championship. That is very far away from happening, but that is why this selection may be important for the next few years. As the Cubs make their transition on the field there will be plenty of tough times ahead. The Cubs broadcast team will have a difficult job of entertaining and trying to keep a fan base that may drift away as the Cubs most certainly will struggle. The pay-off could be the ultimate reward-that is why there will be a long list of prospective broadcasters wanting this job.